Occupy Wall Street Needs a Clear Objective: How About Bankruptcy Relief for Overburdened Student-Loan Debtors? But of course that is the point. Many of the protestors are unemployed or severely underemployed. If these people had good jobs they wouldn’t be camping in urban parks or subjecting themselves to police beatings and arrest. No--the Occupy Wall Street protestors are not wild-eyed radicals. Most are simply angry Americans demanding economic justice. (Lacey, 2011). Unfortunately, the Occupy Wall Street movement cannot achieve its goals for economic justice without defining some clear objectives--which so far it has not done. It is not enough to say Congress should tax the rich or regulate the financial sector better. Occupy Wall Street needs to boil down its broad demand for economic justice to articulate some clear and realistic political goals. Let me suggest one plank for OWS’s economic justice platform--bankruptcy relief for overburdened student-loan debtors. Although the U.S. Department of Education won’t admit it, default rates on student loans are catastrophic--especially for students who borrowed money to attend for-profit colleges and vocational programs. Even by DOE’s own anemic standard for measuring default rates, those rates have doubled over the past few years (Blumenstyk, 2011). And DOE’s rating system only measures defaults in the first two years of the student-loan repayment period. When the measurement period is expanded to three years--which DOE will soon do--the default rate will spikes dramatically--particularly for students who borrowed to attend for-profit institutions. And even these numbers don’t tell the full story. Students who qualify for economic hardship deferments are not making their loan payments, but they are not counted as defaulters. Some for-profit institutions have encouraged their students to apply for economic hardship deferments in order to keep their institutions’ official student-loan default rates down. Unfortunately, for most of the people who have economic hardship deferments, the interest on their loans continues to accrue (In re Halverson, 2009). If student-loan debtors defer their payments for just two or three years, they will see the outstanding balance on their loans grow significantly--perhaps to an amount so high that they will never be able to pay back their loans. Some experts estimate that the student-loan default rate for students who attended two-year for-profit institutions is 40 percent (Field, 2010); and another analysis concluded that a majority of students who borrowed money to attend for-profit institutions are in default (Lewin, 2010). And of course a student-loan default subjects the defaulter to a torrent of bad consequences. Their credit is ruined; they become subject to all the wiles and torments of debt collectors; they can have their income-tax refunds garnished; they can even have their Social Security checks dunned (Fossey & Cloud, 2011; Cloud, 2006). 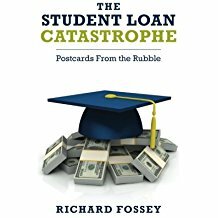 In short, as a recent New York Times editorial put it, defaulting student-loan debtors wind up in “financial purgatory” (Editorial, 2011, p. A34).